Holi, the festival of colors, love, forgiveness and inspiration to refresh relations!!!!! Colours are the essence of life. Vibrant colours give us a feeling of joy and happiness. 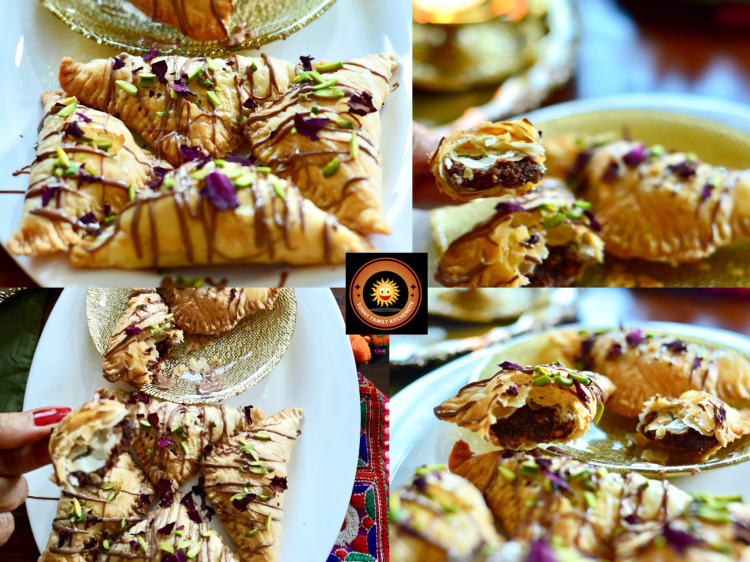 Every joyous ceremony has to be celebrated with sweets. 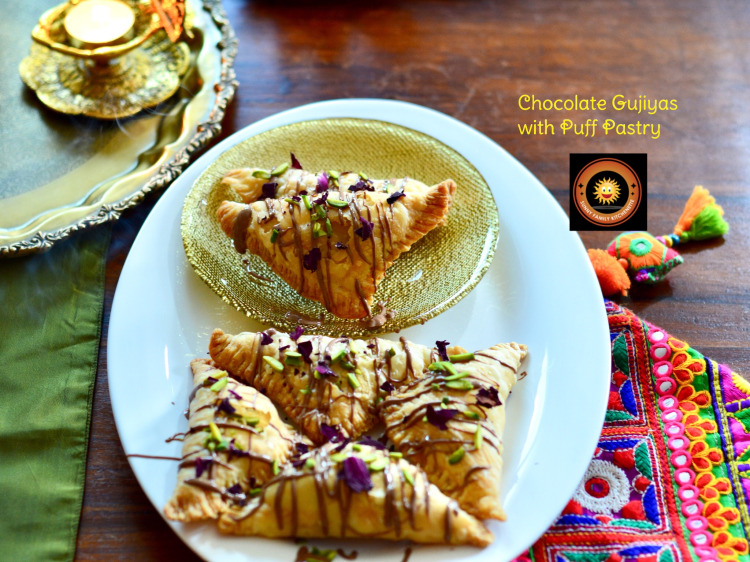 Gujiya is a popular sweet made specially during the festival of Holi. 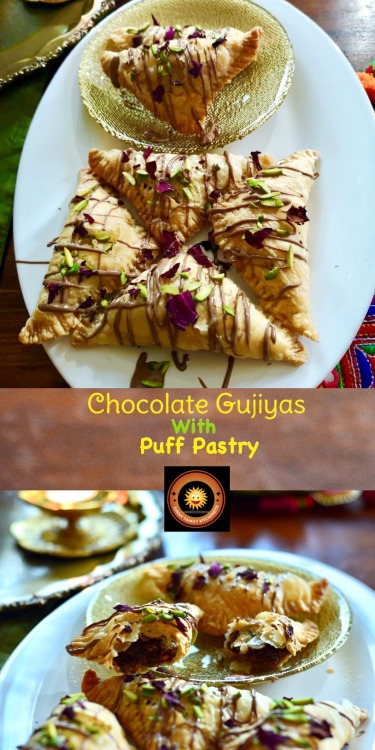 Holi and Gujiyas are almost synonymous. 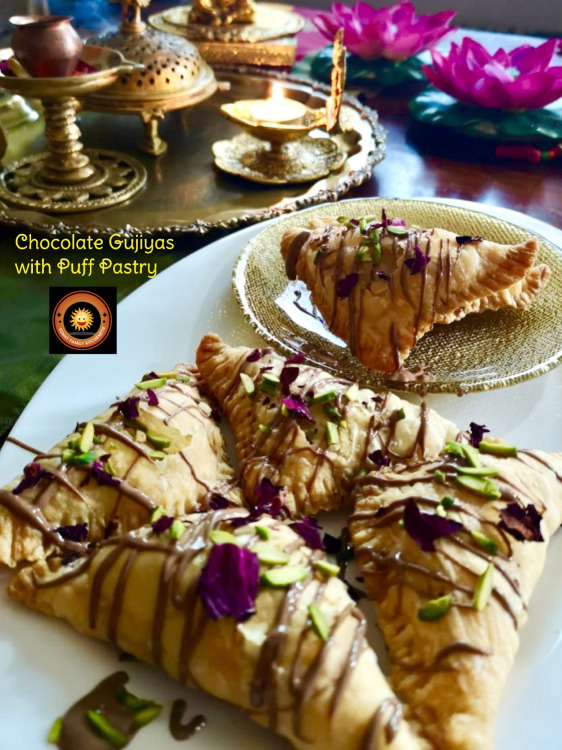 In different parts of India the stuffing changes according to the region and henceforth brings in a new twist to the scrumptious Gujiya. 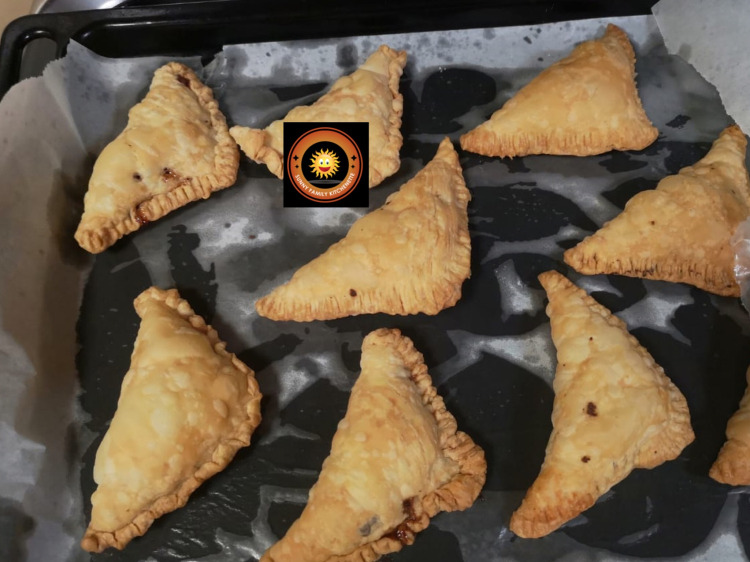 Gujiyas, you can say, are the desi cousins of continental Empanadas. 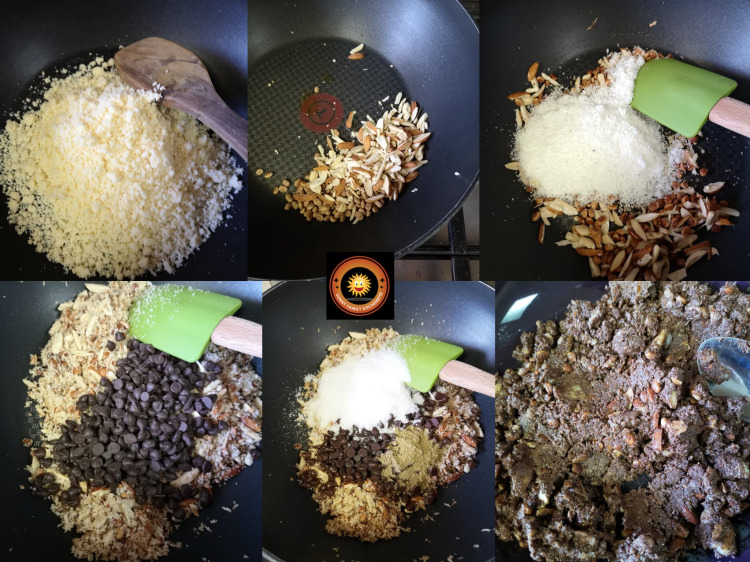 The outer cover is made with flour and a stuffing generally comprising of nuts, coconut, sugar and mawa. It’s a delicious sweet, but one that requires a lot of hardwork. So, to cut down on the labor, I prefer using Puff Pastry sheets instead of homemade dough. This is definitely an easy and quick version which tastes just as good as the original version. The most quintessential dish made during Holi. 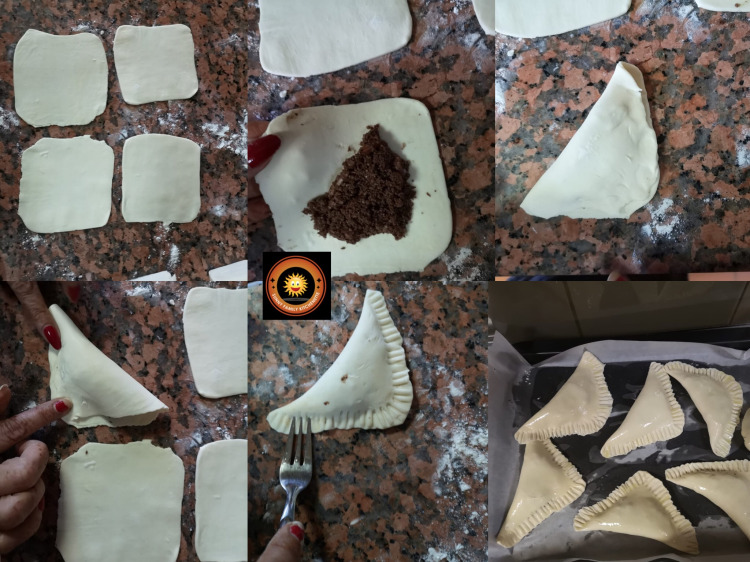 To give the modern twist I have added choco chips to the stuffing and also made the outer covering with puff pastry instead of the traditional dough. 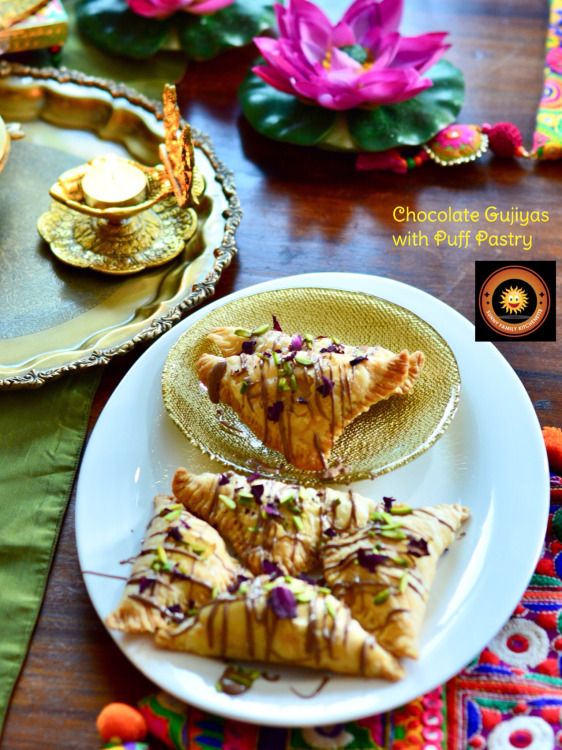 So here is the recipe for Puff Pastry Gujiya. In a pan, cook mawa till its brown. Once done take it out from the pan. In the same pan put ghee. Add in chopped nuts and chironji. Add coconut powder and cook till fragrant, around 2-3 minutes. Add in roasted mawa too along with cardamom powder. Switch off the heat. Let the mixture cool down a little bit. Now wait for 2-3 minutes and while the mixture is still little warm (but not extremely warm) add chocolate chips and sugar and mix. Since the mixture is still warm, the chocolate chips will melt a little and this is exactly what we want. Mix everything well and take out in a plate. Roll out the puff pastry sheets into a big square. Cut small squares out of it of about 3” by 3” each. Now take about 1 tablespoon of mixture and place in the one corner of the square. Place the filling leaving a gap for the edges to be sealed. Now fold the square diagonally making two corners meet. You will get a triangle. Seal the edges with the help of a fork. This will not only seal the edges but also makes the edges look beautiful. Brush the top of the puff with clarified butter. Repeat the process with remaining sheets. 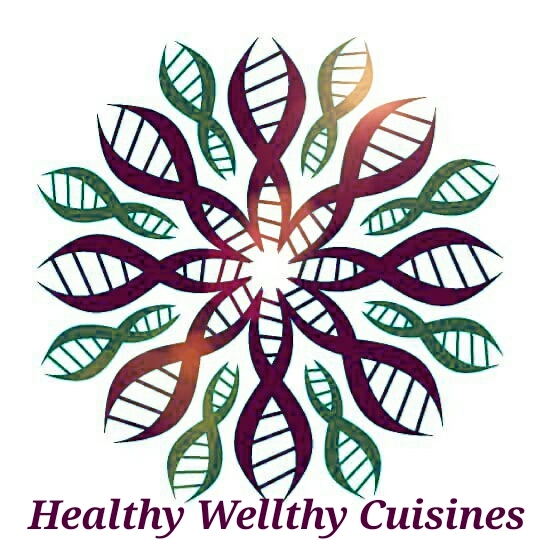 Bake at 180*C in a preheated oven for 30-35 minutes. Once they turn to golden brown color take them out of oven. Melt some chocolate chips in a microwave. 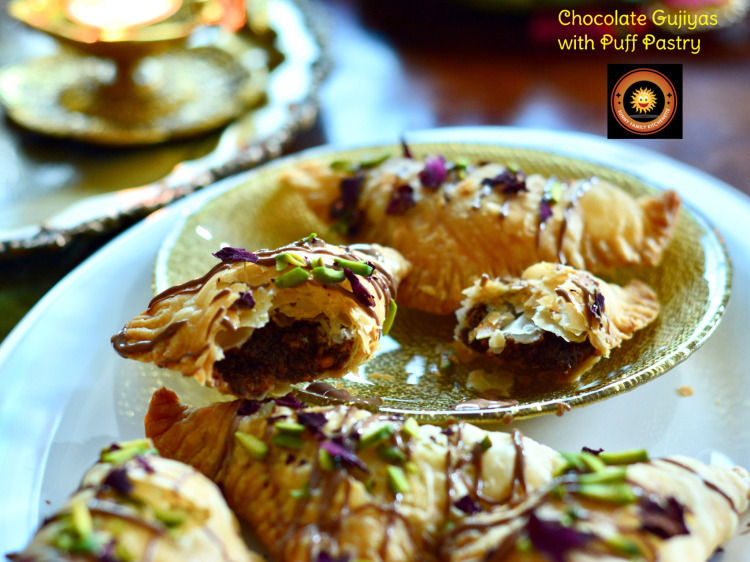 Drizzle on top on the gujiyas and decorate with slivered pistas and dried rose petals. And the theme is 'Gujiyas' for Holi festival.